Club Golf d'Aro - Mas Nou - is one of the oldest golf courses of the Costa Brava, (Platja d’Aro) is situated in "Les Gavarres" mountains, at 300 m above sea level with spectacular panoramic views of the famous Costa Brava. 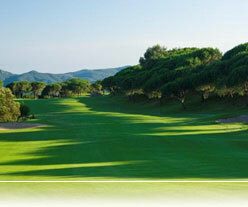 The course is a woodland course, surrounded by pines, cork oaks and more than a thousand olives Trees. Two artificial lakes (2600 m3) complete the unique course charm. This course is situated in the heart of the Costa Brava, in the border of Platja d'Aro and Santa Cristina d'Aro. Make note that this part of the Costa Brava was choose in the year 2000 as "Best Golf Destination "by the IAGTO (International Association of Golf Tour Operators). At 90 km from Barcelona, 35 km from Girona and 100 Km from the French border. Nearest Airport Girona 30 minutes, Barcelona Airport 1 hour and 15 minutes and Perpignan Airport also 1 hour and 15 minutes. From Barcelona, take the motorway AP-7 to Girona and leave it at exit 9 (Costa Brava). Follow for Road C-35 direction Sant Feliu de Guíxols and then the road C-31, to Platja d´Aro Nord exit. Then you will found a roundabout, take exit direction El MasNou and follow signs "Club Golf d'Aro" to the top of the mountain. Professional Teachers: Joan Anglada (Player of the European Tour from 1981-1992, Winner of the Spanish Teacher championship 2004), Pedro Martínez and Ildefonso Torrado (more than 20 years experience in Golf with the System of John Jacobs). Caddy cars, Electro and manual hand trucks with clubs are available to be rented. Driving Range and covered driving range. Pro-Shop and School of Golf (equipped with a video recording system, special courses for each level). The Golf-Course "Golf d'Aro - Mas Nou" was built in 1990. The Architecture of this Golf course has been designed by D. Ramón Espinosa. 1992 This course was honored with the "European Society of Golf Course Architects". 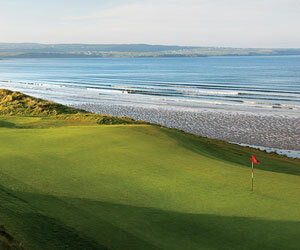 As one of the best European Golf Course. 1990 "Open Martini PGA" Famous Professionals Player as: Joan Anglada, Fernando Roca, Miguel A. Jiménez, José M. Carriles as a winner SANTIAGO LUNA. 1992 "Open Catalonia" Famous Professionals Player as: José M. Olazabal, José M. Cañizares, Sam Torrance, Darren Clarke, Jesper Parnevick, J. Van de Velde, M. Sunesson and as a winner JOSÉ RIVERO. Our Golf course d'Aro-Mas Nou is situated in the 'Les Gavarres mountains. 300m above sea level, with spectacular panoramic views of the famous Costa Brava. The course is surrounded by pine, corks oaks and more than a thousand olive trees; two artificial lakes (2660m3) complete the unique course charm. 6.218 m white markers: 883 m.
SRES. HICE UNA RESERVACION PARA 4 PERSONAS PARA EL DIA 20 DE JUNIO, LLENE EL FORMULARIO Y DI EL NUMERO DE MI TARJETA VISA. QUIERO SABER SI TODO ESTA CORRECTO, ADEMAS CREO QUE ME EQUIVOQUE EN MI PASWORD DE MI EMAIL, AUNQUE TRATE DE PONER EL CORRECTO. OJALA Y ME PUDIERAN CONTESTAR. GRACIAS POR SUS ATENCIONES. lovely course ,well treathed, good greens,fair even in windy conditions.